Baku Court of Appeal, chaired by Judge Ulvi Mayilov, held a hearing on National TV and Radio Council’s (NTRC) request to cancel the license granted to ANS Independent Broadcasting and Media Company on October 25, 2013. By its decision of July 18, 2016, NTRC suspended ANS TV’s transmission for a period of one month and appealed to court to terminate the special license awarded to the TV channel for broadcasting. Today’s hearing was attended by NTRC’s representatives Togrul Mammadov and Togrul Mirzazade, and ANS Independent Broadcasting and Media Company’s representatives Sevda Maharramova and Ragif Mustafayev. Representatives of US and French embassies, as well as journalists were observing the hearing. NTRC representative Togrul Mammadov spoke first at the hearing. “After the July 15 coup in Turkey, ANS aired materials supporting terrorism, the US-based correspondent of the TV channel interviewed Fetullah Gulen and previews of this interview were broadcast on foreign media. NTRC received a letter from the Prosecutor General’s Office in this regard. The letter read that ANS TV promoted terrorism, and aired materials inciting national and religious hatred. The statement, which terrorists publicized on TRT 1, was rerun by ANS TV for several times. Ganira Atashova interviewed Fetullah Gulen, who is known as a terrorist. It was announced that the interview would be aired in the evening. The interview was not broadcast due to the timely intervention of state authorities. In addition, sanctions were applied against ANS four times within one year. In view of the above, we ask you to terminate the license issued to ANS TV on October 25, 2013,” Togrul Mammadov said. ANS Independent Broadcasting and Media Company’s representative Sevda Maharramova in her turn said that ANS TV did not broadcast materials calling for terrorism. “The video, in which TRT 1 news anchor read out the statement, was broadcast as a reminder by many other channels, too. Secondly, ANS reporter did not interview Fetullah Gulen. A rally was held outside Gulen’s house in Pennsylvania and ANS reporter went to film it. Meanwhile, Fetullah Gulen was holding a press conference, and Ganira Atashova also participated in that event. On the other hand, speeches of Azerbaijani MPs condemning the said events in Turkey and statements denouncing those developments were also included in ANS TV’s programs about those events. NTRC’s decision of July 18 to suspend broadcasting has just been presented to us, at this hearing,” Sevda Maharramova said. ANS’ other representative Ragif Mustafayev said NTRC did not have the right to appeal to court for revocation of the license and filed a motion to consider the lawsuit inadmissible. Mustafayev noted that after the latest amendments to legislation, only the Ministry of Economy could appeal to court for revocation of a license. “In our case, NTRC, as a regulatory authority, could apply to the Ministry of Economy for it. NTRC does not have the authority to appeal to court. This power belongs to the Ministry,” Ragif Mustafayev concluded. The judicial panel said the motion was not granted. ANS representative Sevda Maharramova then filed a motion for temporary suspension of the court proceedings on the ground that an investigation was underway about ANS at the Serious Crimes Investigation Department of the Prosecutor General’s Office. “Investigator Parviz Ibayev is in charge of this case. It is investigated to see whether or not ANS actually aired calls for mass disorders and support for terrorism. It may be proven at the end of the investigation that these claims are absolutely groundless. We therefore ask you to suspend the court proceedings until the end of the said investigation,” the representative said. NTRC representative Togrul Mammadov said the investigations carried out by the prosecutor’s office had nothing to do with broadcasting and if the investigations confirmed that ANS had violated the law, the issue resulting from it would be that of holding its founders to account. The judicial panel rejected this motion of ANS, as well. ANS representative Sevda Maharramova filed a third motion to screen the recordings of the programs aired on ANS, which they presented in a disc. She requested that NTRC representative explained where they aired materials of violent nature and where they supported terrorism. This motion was also denied by the court. Baku Court of Appeal granted NTRC’s lawsuit and terminated ANS’ broadcasting license. Background: ANS TV is the first private and the first news TV channel in Azerbaijan and was established in 1991. On November 24, 2006, NTRC issued a press release on suspension of ANS TV’s and ANS CM’s (Radio) broadcasting. ANS TV and Radio went off air for 17 days. 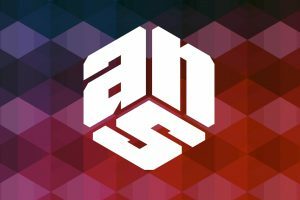 On December 10, 2006, NTRC declared that it decided to return ANS to air considering the appeals made to President of Azerbaijan Republic Ilham Aliyev and the request of the sizeable staff of ANS Group of Companies.